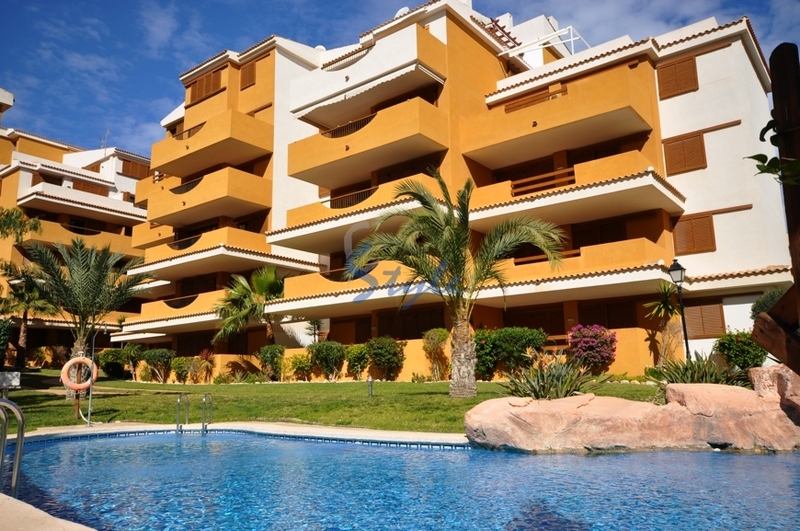 Buy an apartment in La Entrada, Punta Prima, Orihuela Costa, Costa Blanca? You can do this with the help of our team at E-Style Spain. La Entrada is a luxury apartment complex situated 700 metres from the beach. The gated complex is one of the most popular residential areas of Punta Prima and features three swimming pools and beautiful tropical gardens. Punta Prima offers every facility closely located that one could possible hope for including many bars and restaurants, chemist, bank offices, etc. The biggest shopping centre in the Alicante province Zenia Boulevard is only five minutes drive. Punta Prima beaches are some of the cleanest around and have been awarded Blue Flag status. This is the place to be if you want to enjoy 320 days of sunshine a year. Also, Punta Prima is conveniently located on the southern Costa Blanca and less than 30 minutes from two international airports, Murcia and Alicante. Feel free to contact us and we will help you find the apartment in La Entrada, Punta Prima, Orihuela Costa, Costa Blanca that suits you.